Some of the best juniors in Australia started in our minis program. Combined, children will have the skills needed to tackle any sport. By starting early you can be sure that your child will have the confidence to participate in sport with their peers for life. We all learn at different rates and sometimes all that is needed to keep them involved in sport is the confidence that they can do just as well as anyone else. While Hot Shots Minis has a focus on tennis each lesson still involves skills transferrable to other programs. In fact tennis is one of the most transferrable skills of any sport. The rules & tactics may be specific, but no sport covers the basics of human movement and perception as comprehensively. In Minis children learn the value of teamwork. Additionally we strive to impress upon kids the importance of attempting challenging activities. Studies show many kids link their worth to success or failure outcomes, limiting their growth. We encourage them to simply “have a go”, and focus on learning, rather than winning. KWTA is one of Australia’s most prominent Hot Shots Deliverers. As kids grow, their equipment should grow with them. We use special balls, courts, and racquets that help them have rallies sooner. Kids have more fun, gain confidence sooner, and keep interest for longer when they can play tennis on their terms. The Hot Shots program is broken into 3 distinct stages. The different coloured balls bounce to different heights so that kids can gain mastery over their swing much earlier than the past. Modified courts mean that the environment is tailored to each age group. The age groups are: Red (5-8), Orange (8-10), Green (9-12). By this stage of a child’s development they are ready to enter their first competitions. We make sure to keep the environment friendly, casual, and fun to create a positive connection that will last a lifetime. Challengers squads are a great way to keep teenagers fit, active & social. There is no “right” age to pick up tennis. Challenger Squads aren’t just for student graduating from our Hot Shots program. We constantly take in new students who are looking to learn tennis for the first time. Whether you have been doing another sport or just want to get more active, Challenger is right for you. Join now and make new friends. The teen years make fitness difficult. Increased school commitments and less time for recreation make it difficult to stay happy & healthy. Tennis is a fantastic way to get in the extra exercise growing bodies need. Students will do a range of drills, rallying and match play that will get their heart pumping. We teach a large number of our local school’s best players. Students come to us because they want to get better, not because they have to. And we take that responsibility very seriously. You can be sure that our classes will help you move up the school ladder and into the team you deserve. No matter where you live there will always be tennis competitions looking for new players. If that interests you but you lack the confidence to test your skill in a competitive environment, we can help. We’ve taught literally thousands of competition ready players… and you can be one too. KWTA students have won more than 20 national titles & some have reached top 100! We take our elite classes very seriously and that is why we have so many top level players. Each lesson specifically targets areas that students need to take their game to the next level. KWTA has multiple Tennis Australia talent development coaches. What does that mean? We get results. Almost all KWTA players have been developed from a young age at our academy. We understand what it takes to make the leap to ‘Tournament Player’ status. We run extra classes for strength and conditioning training as well as ball machines to help hone specific skills. 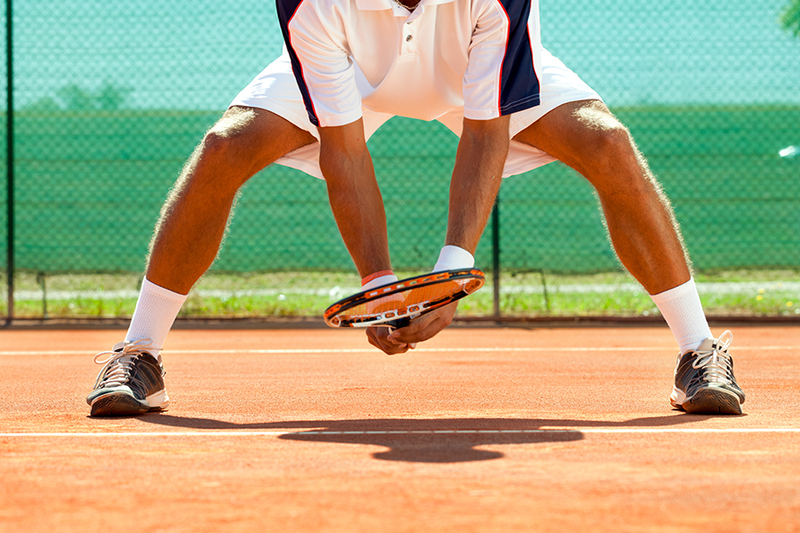 For injury prevention and rehabilitation we have a fully qualified physio who specialises in tennis specific movements. KWTA staff travel to local and regional tournaments to study player patterns on court where it counts. This feedback is then used to further develop the individual athlete. In fact many outside players have probably been watched by KWTA more than their own coaches! Take a look at the description of the classes above and if you are still unsure please don’t hesitate to give us a call so we can work out what is right for you. How Can I Check My Enrolment? KWTA operates on a per term basis. That means before the end of the previous term you must enrol and pay for the following term’s class. No class is considered enrolled unless it has been paid for in advance. I'm ready for an advanced class! Our coaching team carefully monitors each student to make sure they are being challenged. We will usually contact you first to advise you of a more suitable class. However feel free to let us know your intentions to try out something more advanced. All KWTA junior classes are based on the school term and paid in advance. Please see our Make Up Policy for details. Which comp is right for me? KWTA runs an internal high quality comp on Saturday afternoons that is suitable for almost all Juniors. Additionally we link up with NSTA to provide a Sunday morning comp as well. We also run JDS events for more advanced players and our staff will let you know when you are ready for those. What about during the holidays? We run general Holiday Camps for beginner to intermediate players and “Tournament Tough” camps for advanced players. Go to the Holiday Programs page to read more.